The 218W Vzone eMask Mod, which is powered by dual 18650 batteries to fire up to 218W, will deliver huge cloud and pure flavor. In addition, it creatively adopts interior waterproof construction to protect it from water. I want to introduce this item grandly. 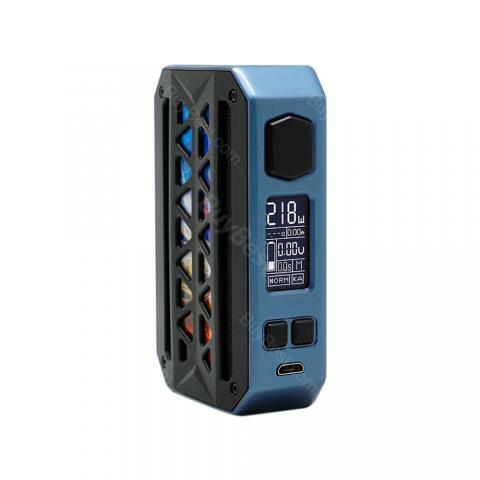 The 218W Vzone eMask Mod, which is powered by dual 18650 batteries to fire up to 218W, will deliver huge cloud and pure flavor to meet your needs. In addition, it creatively adopts interior waterproof construction to protect it from water or other liquid. What's more, different output modes will offer different flavor. 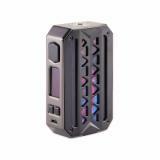 With this mod, you will enjoy the vaping difference. • Three-month warranty for Vzone eMask Mod. 218W Vzone eMask Mod is lightyears ahead of the competition in terms of designs, featuring a wattage output of 7-218W, adjustable temperature control settings, and galactic accents.